Domestic and Damned Blog: There could be only one! Cue up the Queen song from Highlander. Cause I've been singing the damned thing for most the day thanks to the stupid book store. Dude! Spudguns (and Spuddy) I was standing there, watching as the battle was starting to happen. One in one corner, the other in the other corner, both bidding for my attention. It was like "in this corner weighing in at 3 pounds from France" and in "this corner weighing in at 5 pounds from St. Louis" but in the end, there could be only one. 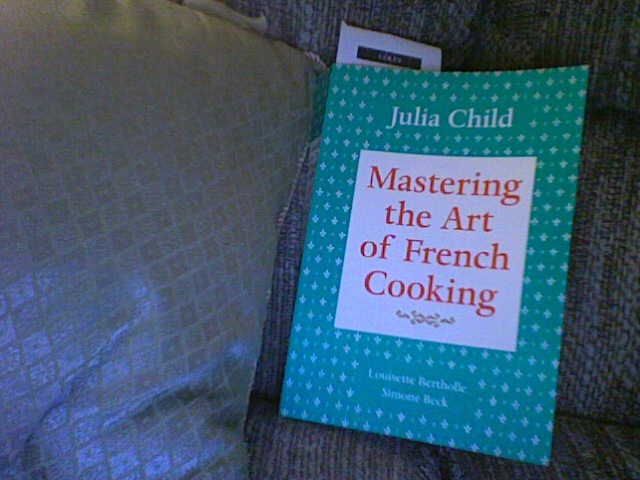 Mastering the Art of French Cooking Volume 1 by Julia Child. 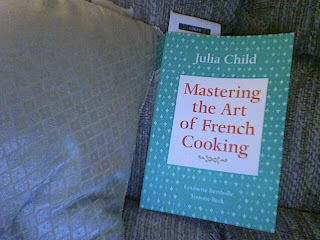 And now I will join the ranks of millions and millions and millions of Julia's fans who know the secret to Beurre Blanc. Oh yeah baby, now we're rocking it seriously sinister style.